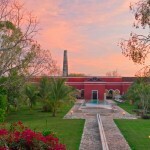 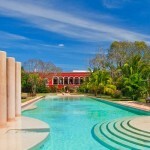 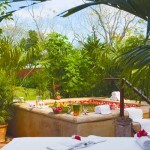 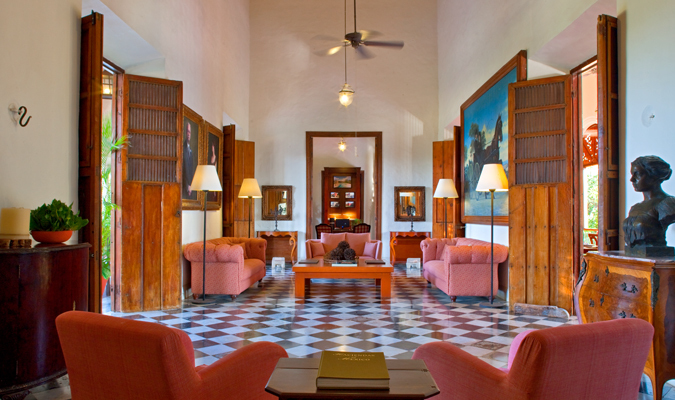 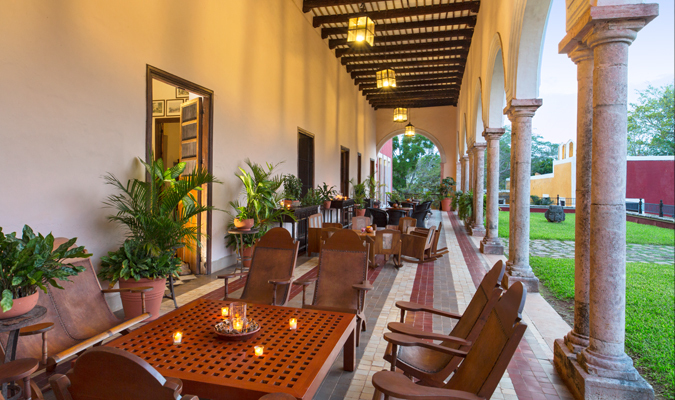 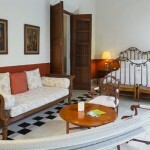 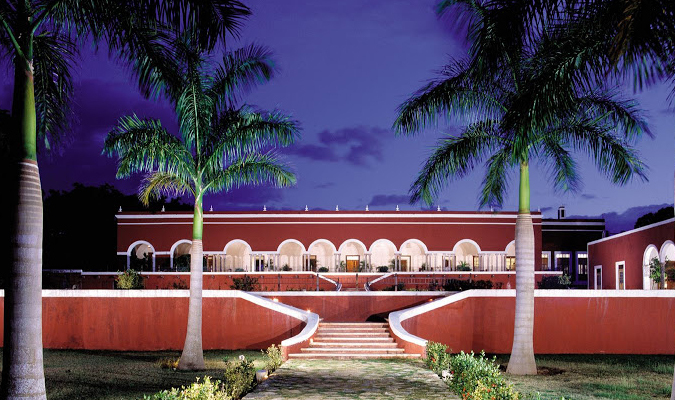 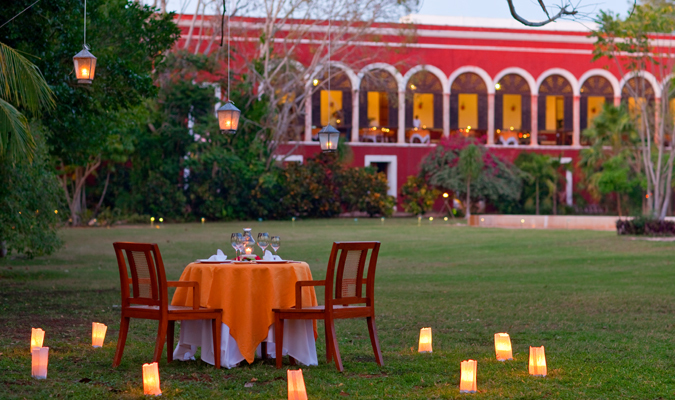 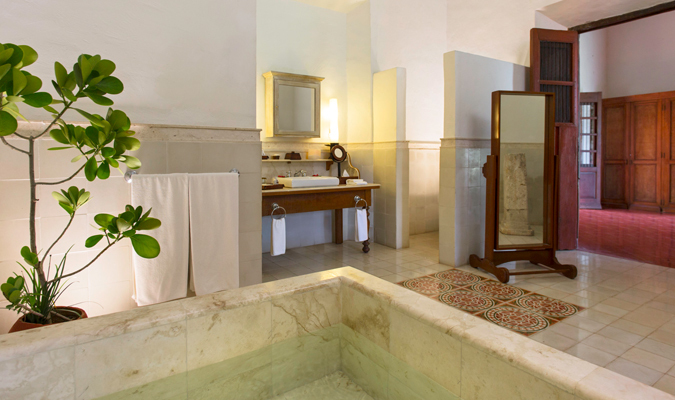 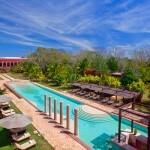 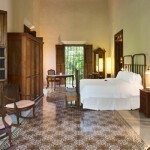 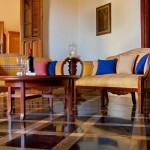 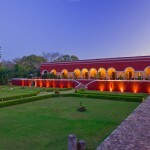 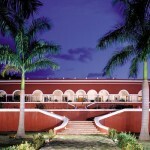 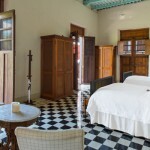 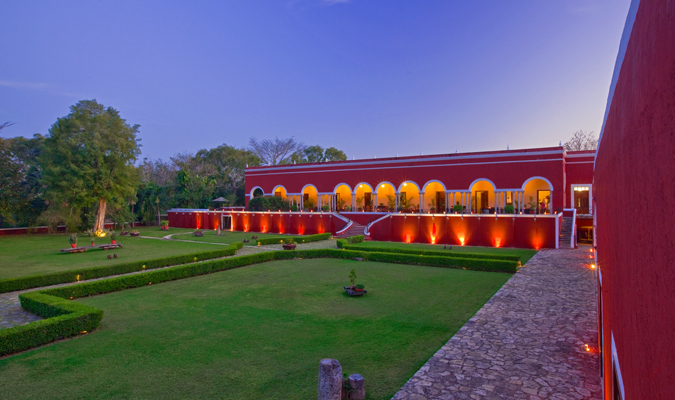 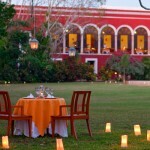 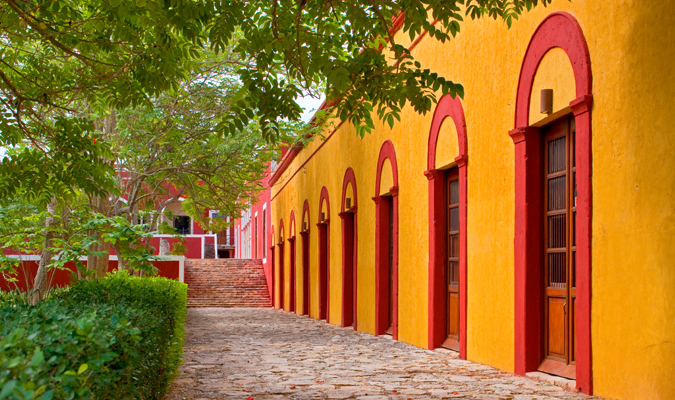 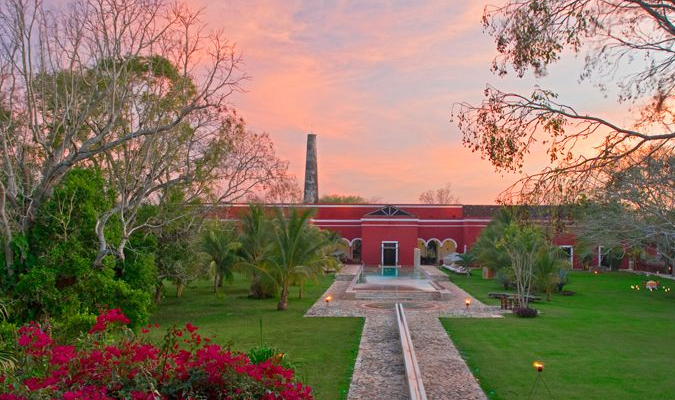 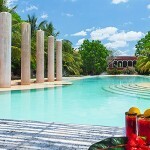 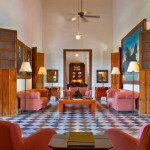 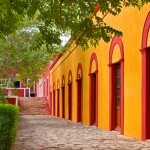 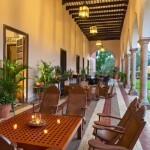 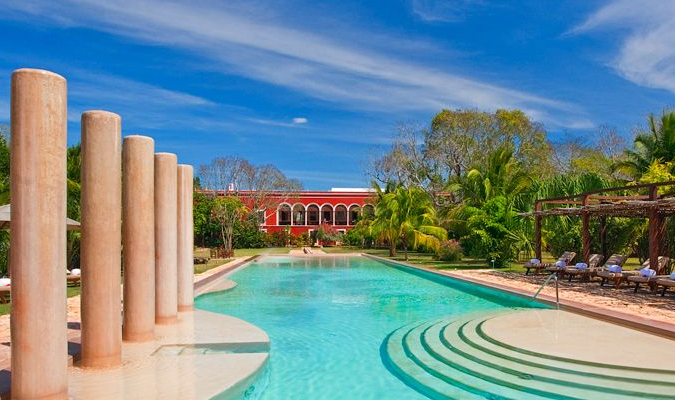 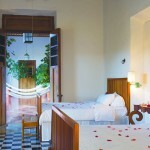 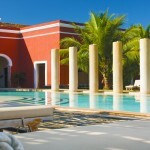 Located in the Yucatan Peninsula, Hacienda Temozon recreates the belle époque of the Mexican southeast. 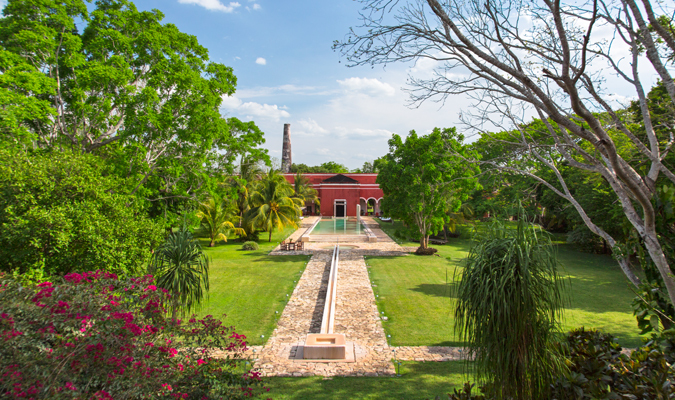 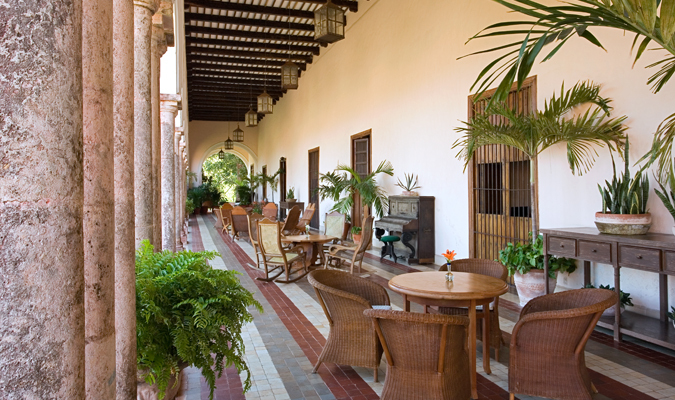 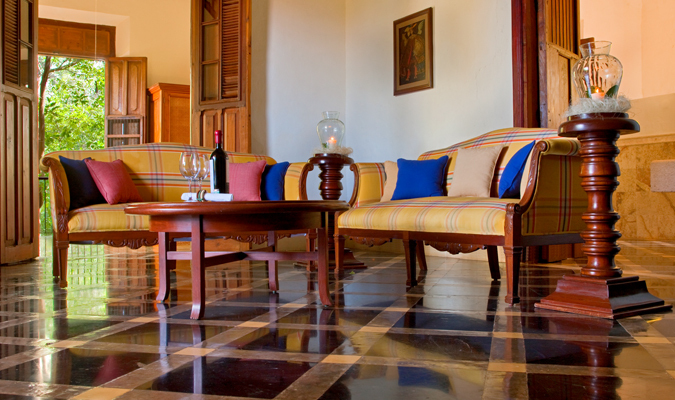 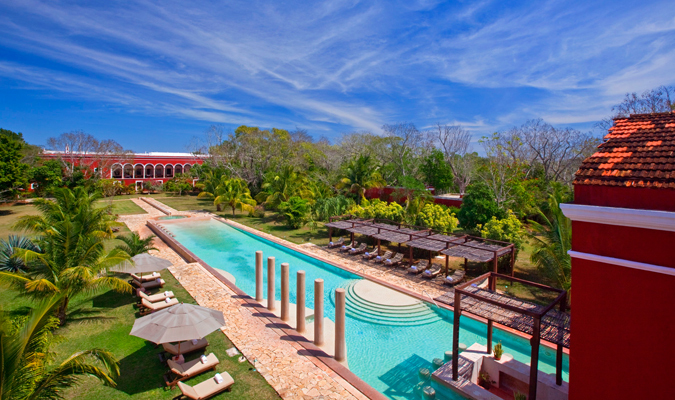 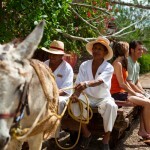 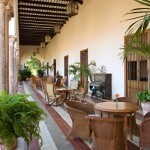 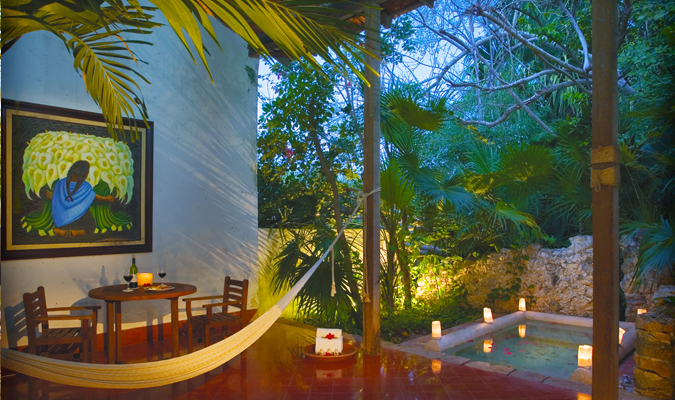 Hacienda Temozón was built in 1655 and is the perfect place to be surrounded by nature, while in complete luxury. 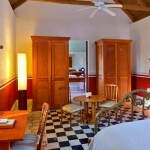 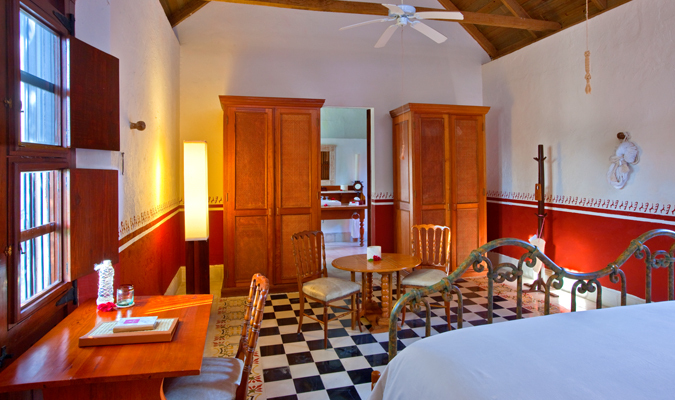 The rooms are very large, with towering ceilings and beds so comfortable you almost melt into them. 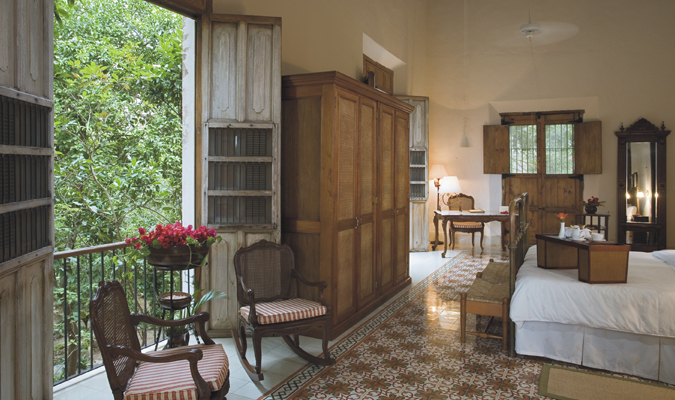 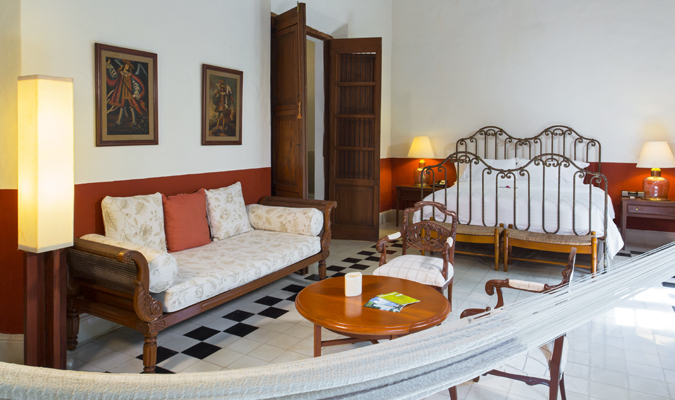 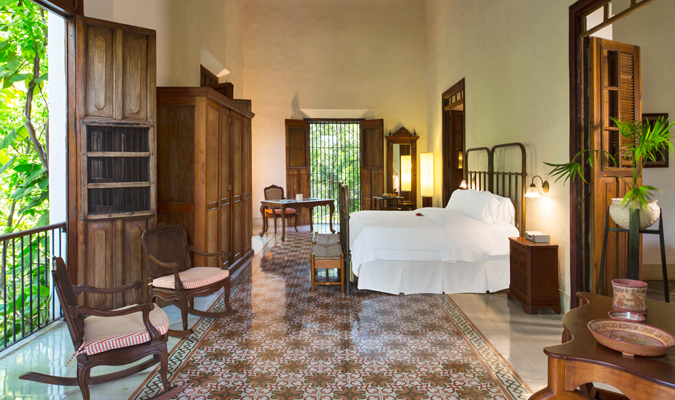 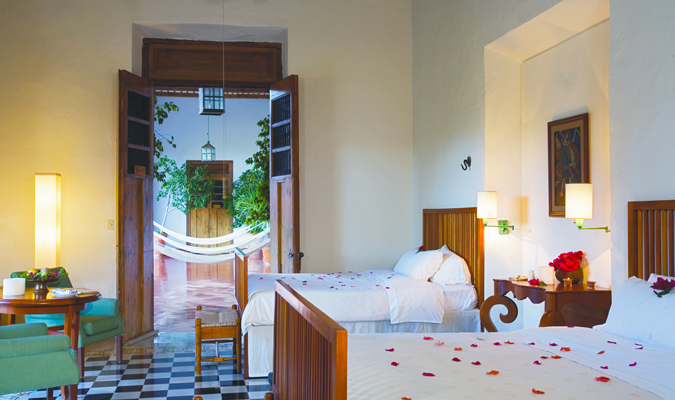 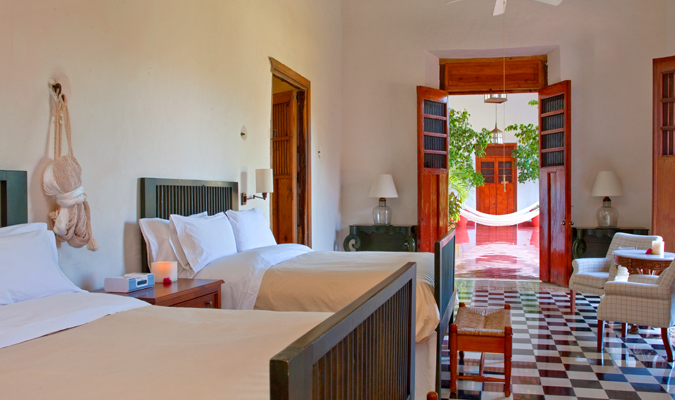 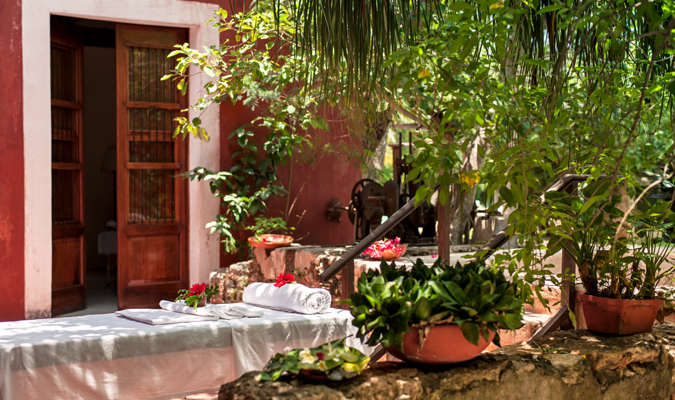 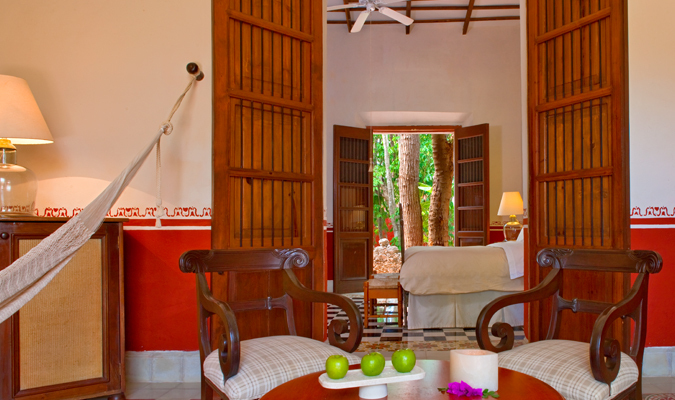 Each room is infused with the very Yucatecan scent of orange flower and upon contact, the linens release the delicate aroma of apple. 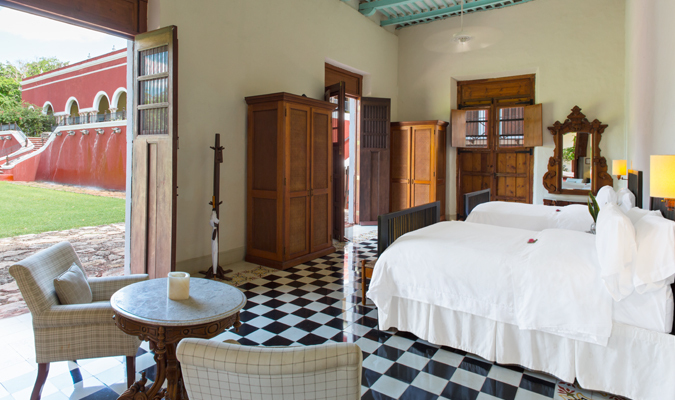 Brightly-colored, original tile floors are offset against the white walls and period-style furniture, giving grandeur to every room. 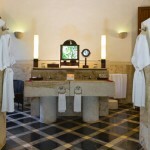 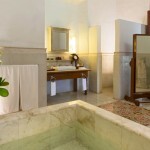 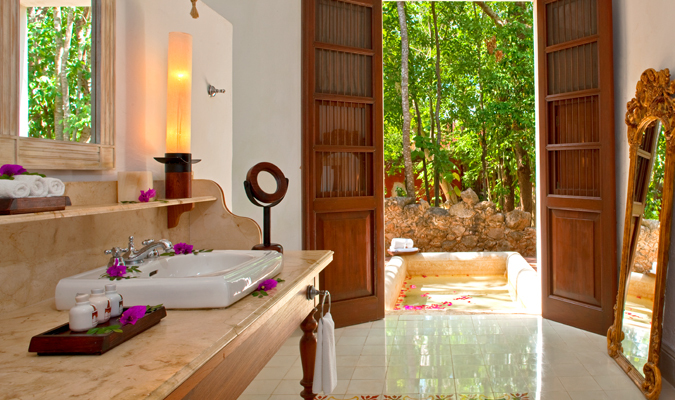 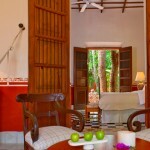 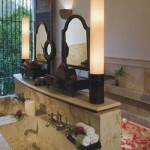 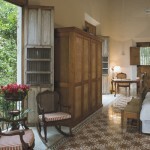 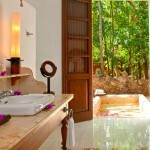 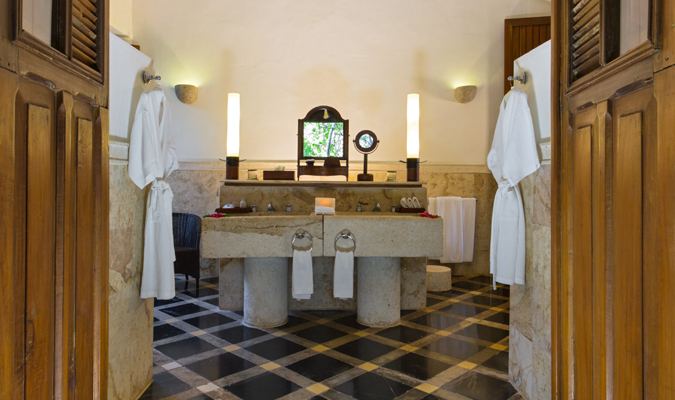 The bathrooms are ample with the crowning feature of an outside bath, which is surrounded by trees and lush greenery. 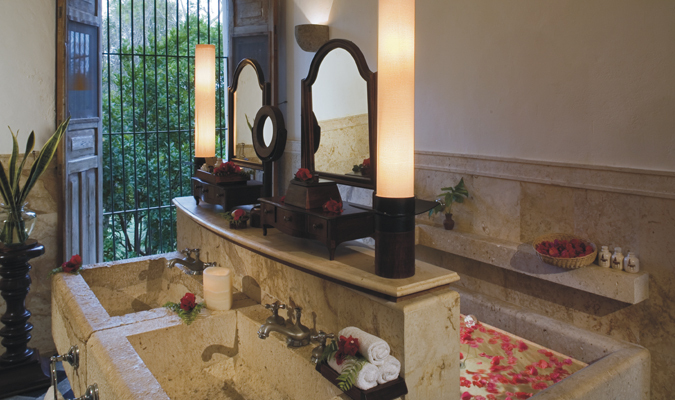 Fresh exotic flowers are left on the bed and in the bathroom everyday, adding a bright touch of color. 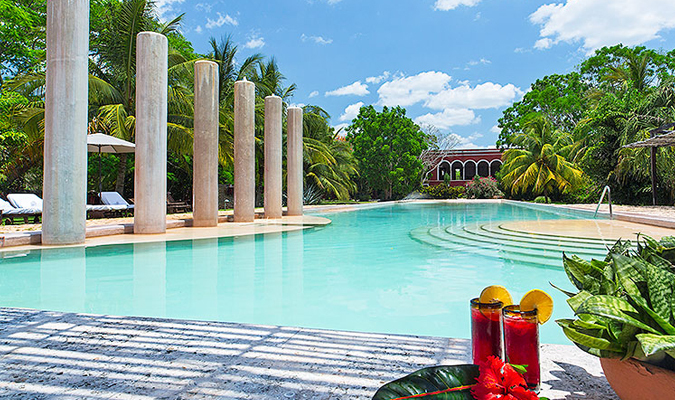 The hotel’s swimming pool runs through the gardens, a stunning stretch of blue that is complemented by the bright-red building and the green of the trees. 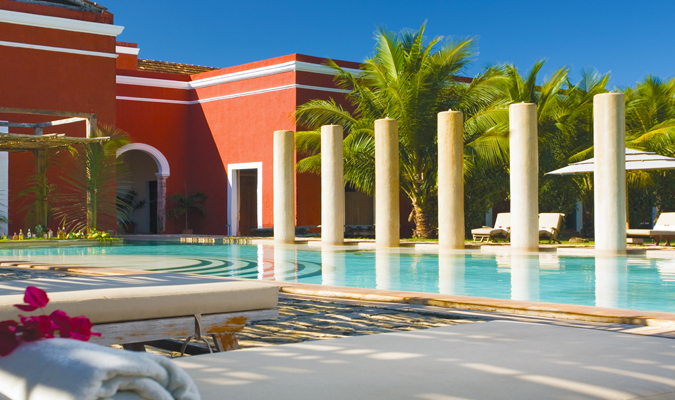 With sun loungers placed alongside the pool, it makes for a great place to enjoy a refreshing dip and a cocktail or two. 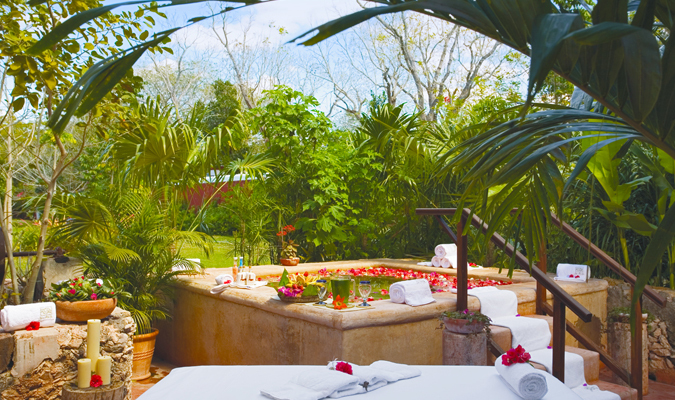 To relax further, indulge in a spa treatment. 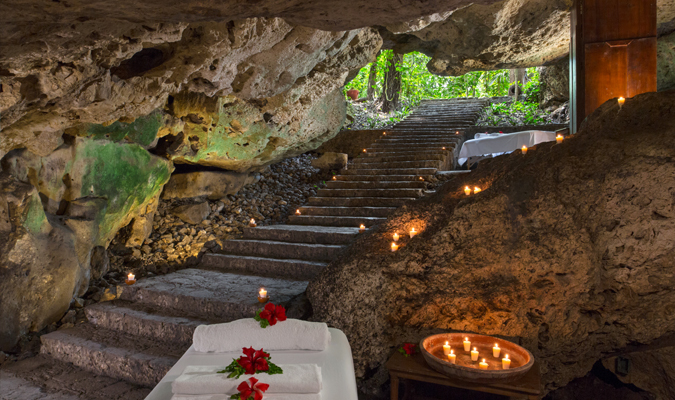 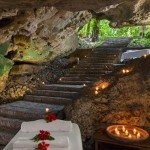 These can be enjoyed inside or in a candlelit cave, allowing you to connect deeply with nature and yourself. 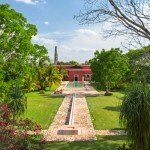 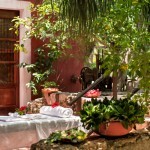 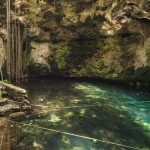 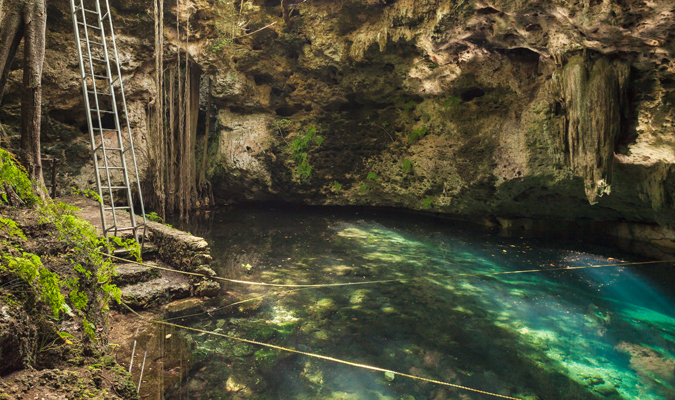 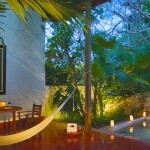 The hacienda boasts an ancient cenote about 3km from the main building. 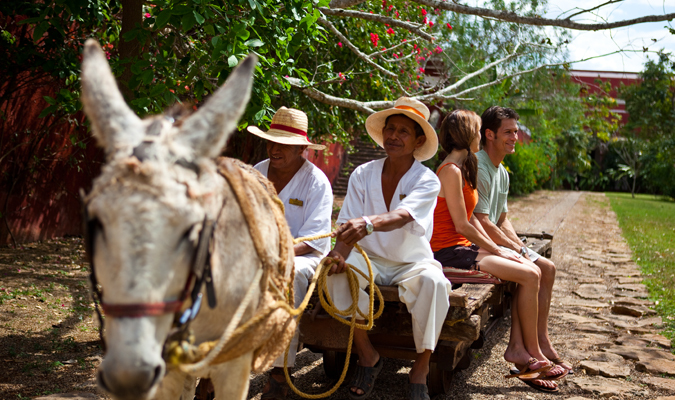 Take the horse-drawn truck to enjoy a mystical swimming experience.